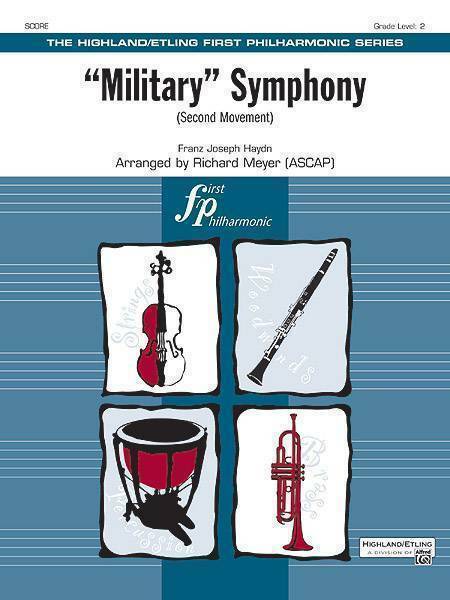 One of Haydn's most famous symphonic movements, this selection will give your students a chance to develop a refined, "Classic" style of playing. It seems like Haydn included everything in this movement---a delicately beautiful main theme, wild, minor-keyed outbursts, military percussion, and a solo trumpet fanfare. No wonder the London audiences went crazy over it! Arranged with the young orchestra in mind, all string parts are in first position. A great introduction to a too-often neglected style.